Our apiary is located at Gate City Harvest Farm in Summerfield, NC, just north of Greensboro. Gate City Harvest Farm is a locally run, all naturally grown farm that provides fresh eggs from a variety of free range chickens and sustainable seasonal produce. Aubrey Cupit is the farmer/owner of this almost 10 acre farm. Aubrey is a Greensboro native. In addition to maintaining the farm, he is also the Garden Manager at the Greensboro Montessori School and co-teaches in the garden program there. 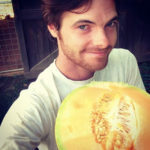 Aubrey is a certified Permaculture Designer and his farm holds many examples of permaculture in action. 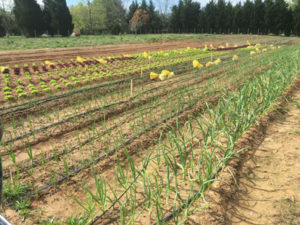 You can learn about what’s currently going on at Gate City Harvest Farm by going to: http://gatecityharvest.com. Watch this video to take a little tour of the farm, meet Aubrey the farmer and some of my bees (crank up the sound – it was windy that day).